UPDATE: We have our winner: April Wooff. Please check your email on how to claim your prize. Thanks to everyone who entered! What’s the easiest way to look summery and sun-kissed this season? A fresh glow. Get luminous, bright skin with Stila’s Set & Illuminate Baked Setting Powder. 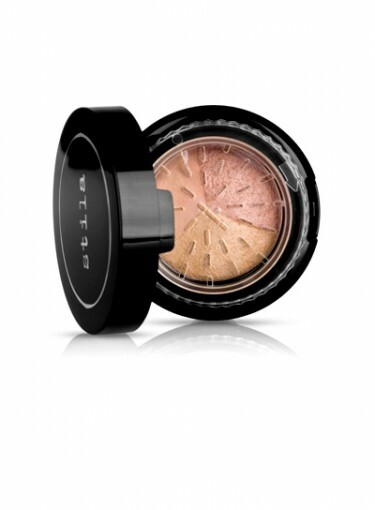 The powder comes in a convenient little compact containing three different colored brightening powders that work to set and illuminate your skin. So even if you’ve been stuck inside all day, you’ll still have that perfect, beachy glow. The Prize: One winner will win a Stila Set & Illuminate Baked Setting Powder. The Deadline: The contest will run from Monday, July 16th to Friday, July 20th. We will pick the winner at 12 p.m. on Friday, July 20th. Good luck! US only; contest not valid for previous giveaway/caption winners.